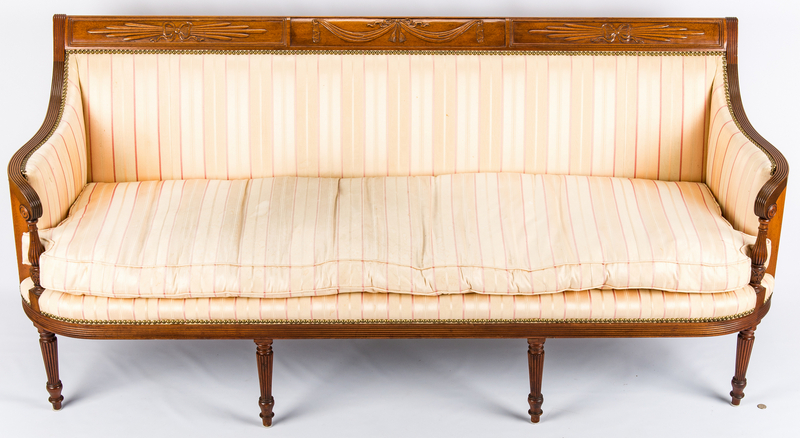 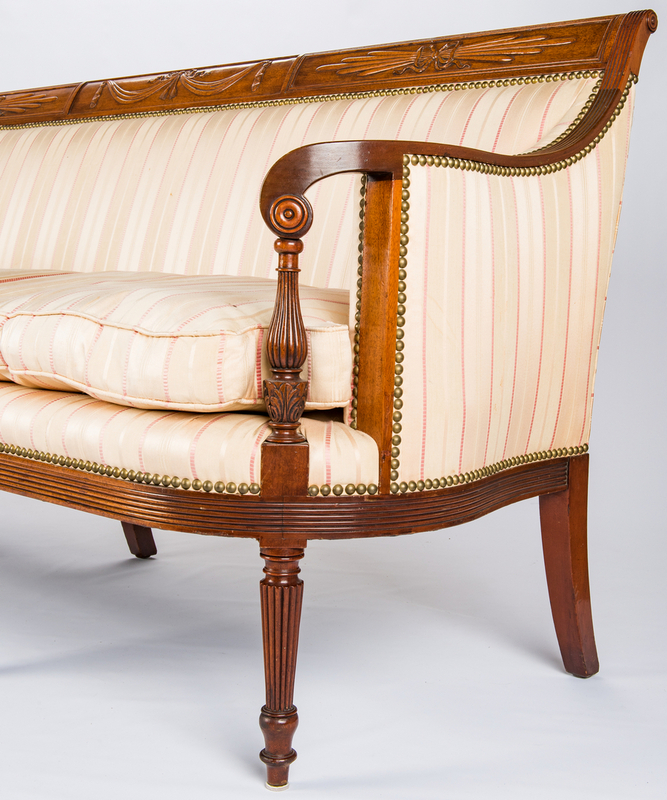 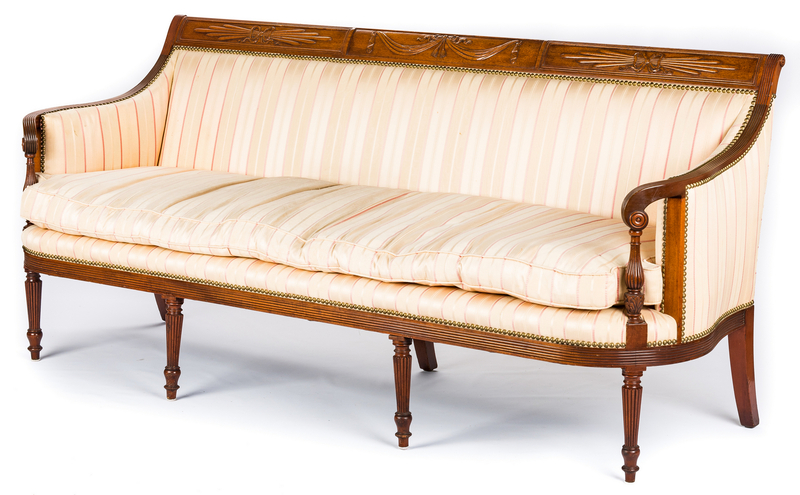 American Federal carved mahogany square-back sofa, likely New York and similar to examples from the Duncan Phyfe shop. 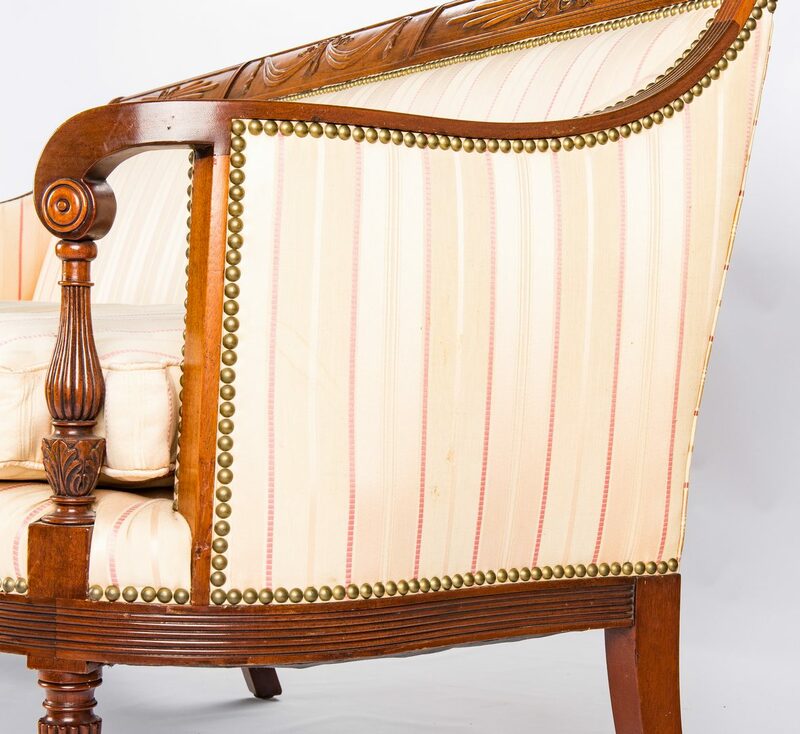 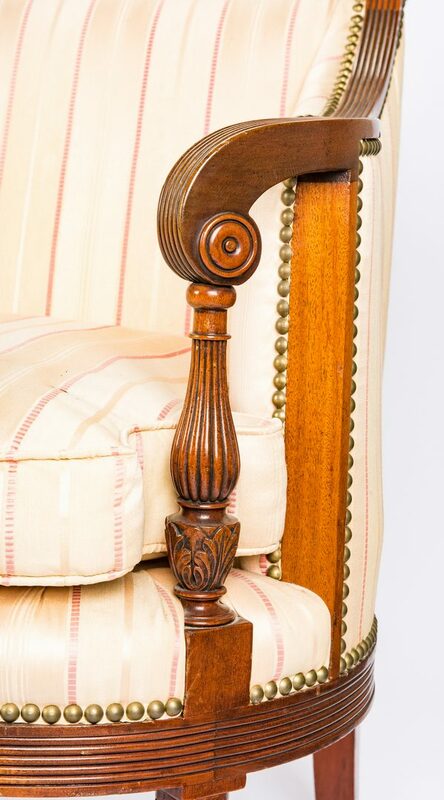 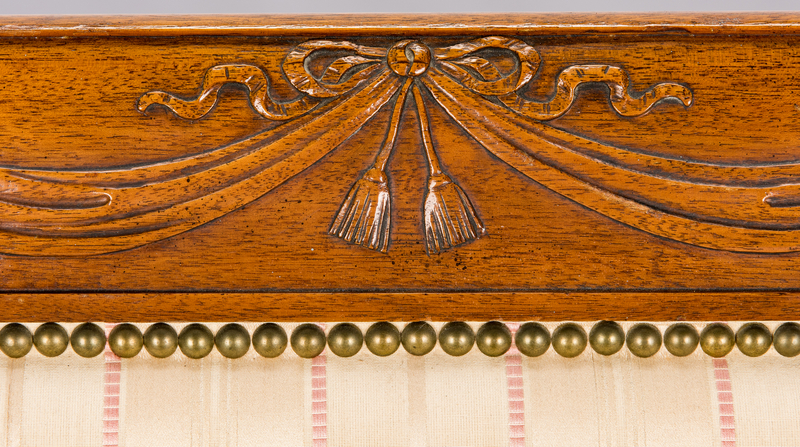 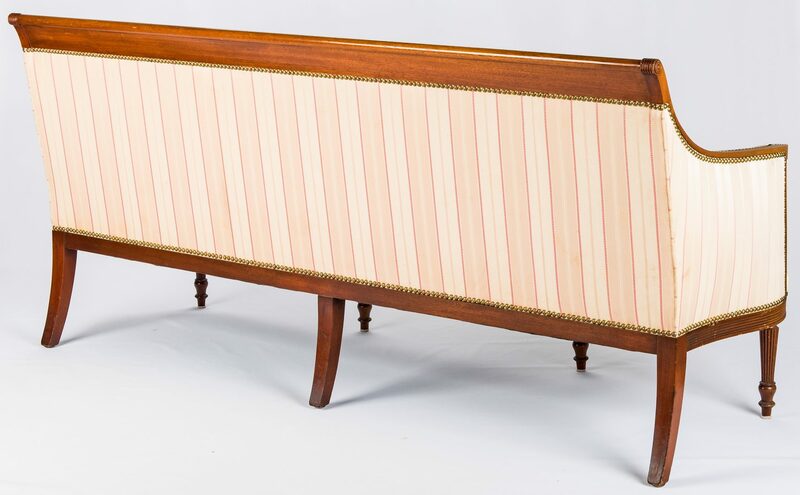 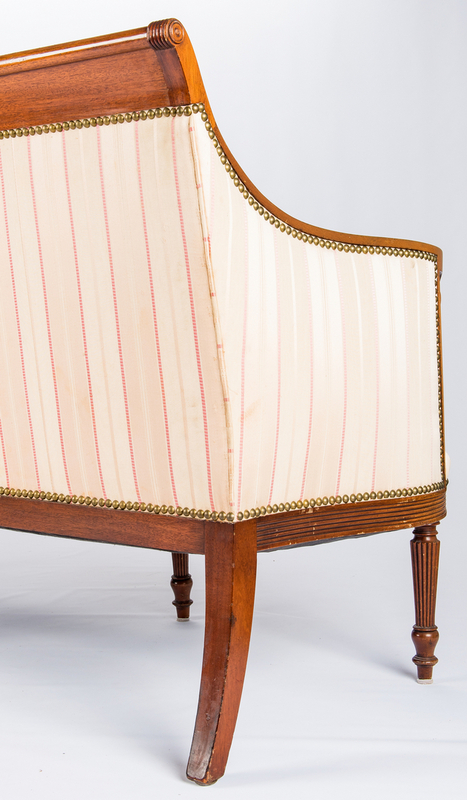 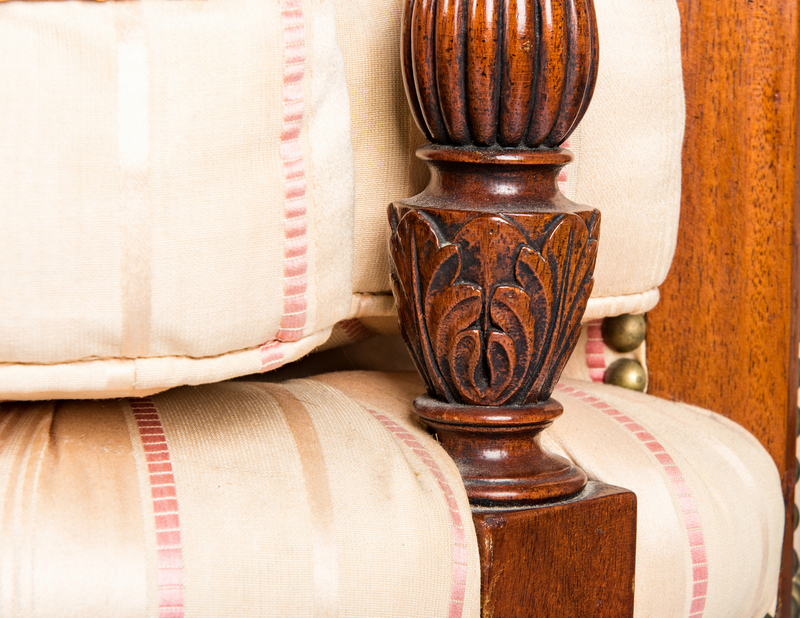 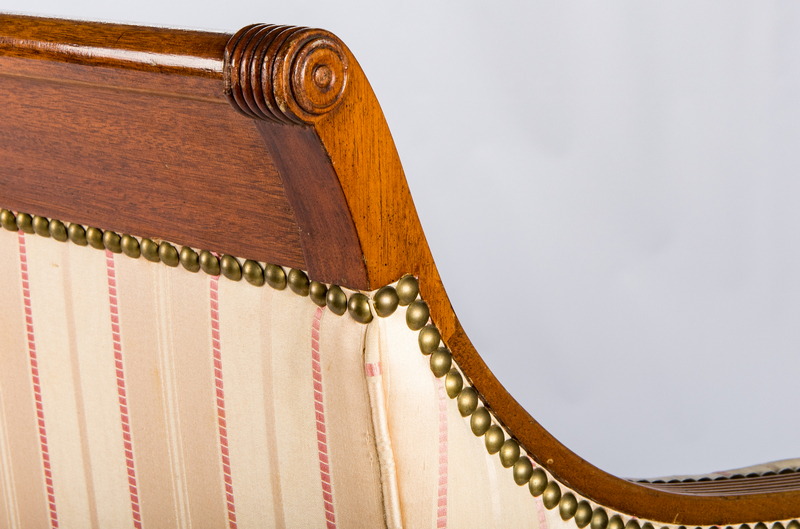 Modeled after the English Sheraton Style with exposed swag and reed-carved top rail, above reeded armrests sloping down to carved hand rests with vase-turned and reeded supports, reeded skirt with curved ends and four front reeded cylindrical legs. 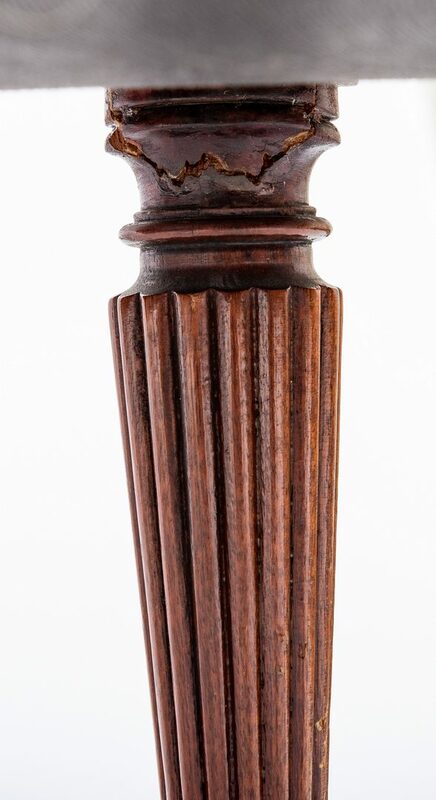 36-1/2" H x 79-3/4" W x 30" D. Circa 1805 – 1815. Provenance: Formerly of Maple Grove Estate, Knoxville, TN when a private residence, and published in Southern Accents magazine, May-June 1985. 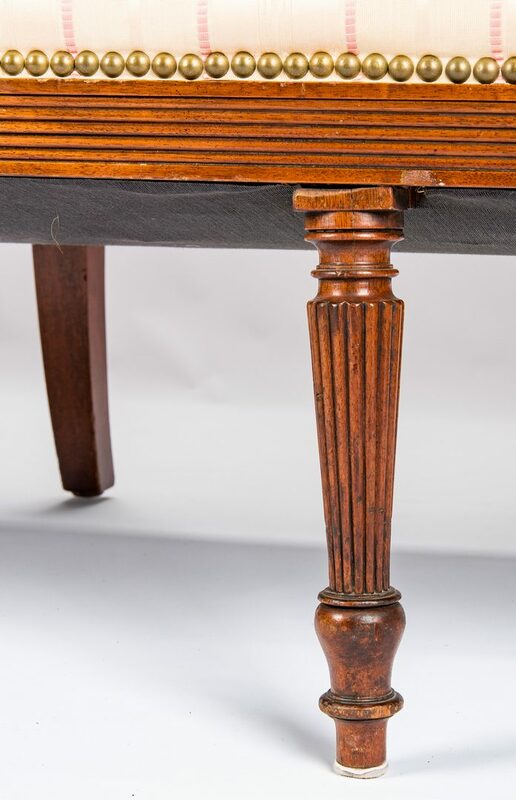 CONDITION: Old breaks to two center front legs where top of leg meets bottom of sofa at joint, visible from back. 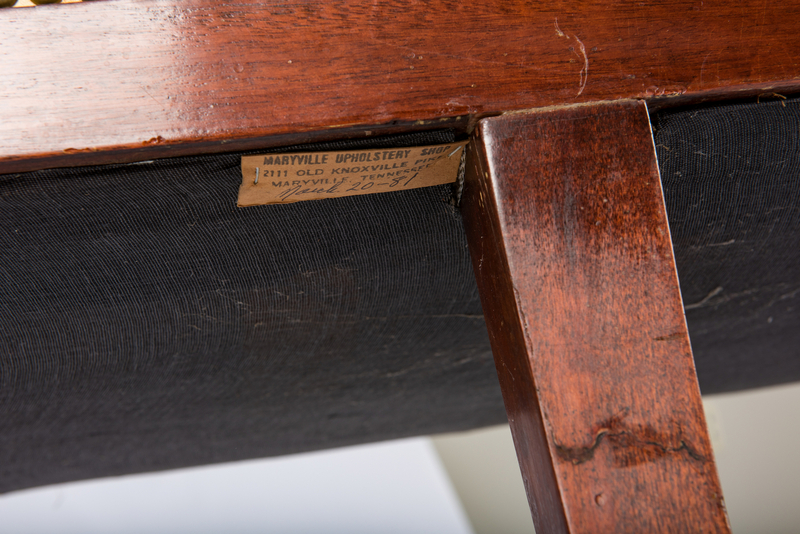 Scattered general use wear to exposed wood on lower sections. 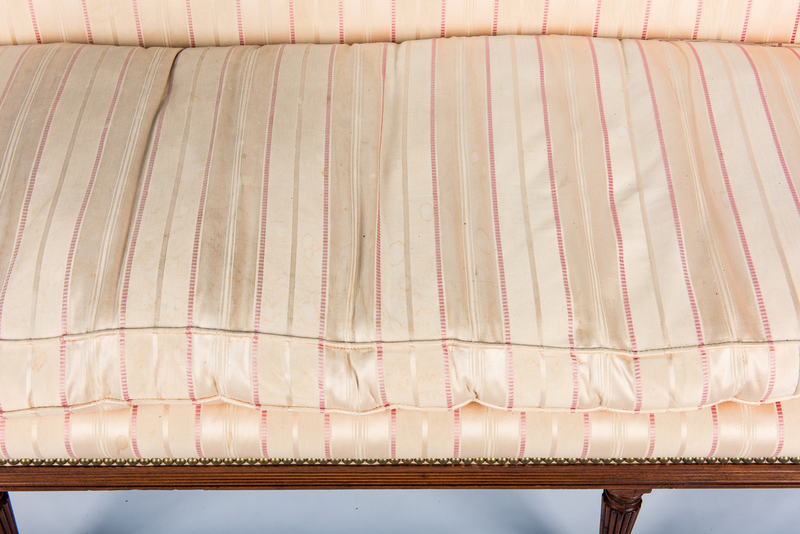 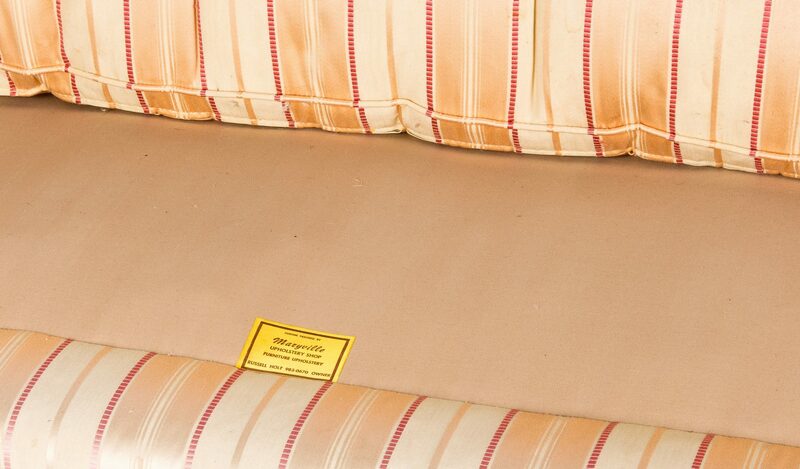 Stains, fading and wear to the silk upholstery.